Chip and Pin machines are an essential part of any brick and mortar business, processing credit cards for face-to-face sales. 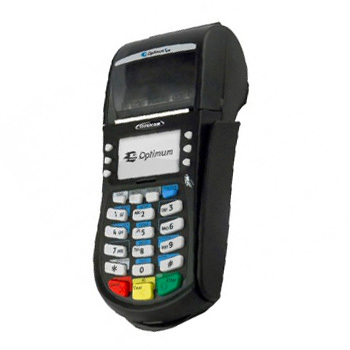 If you’re looking for chip and pin machines for your business, there are dozens of providers, numerous brands, and multiple models to choose from. You’ll be able to rent, lease, or buy your chip and pin machine outright, and choose from features like contactless payments, full ePoS integration, and Bluetooth or 3G support. You’ll also have to consider rental rate, lease terms, and other factors such as setup and termination costs, or, if you’re buying outright, warranty and servicing on your model. With all that said, lets dive in. Most UK business owners choose to rent a chip and pin machine, rather than buying it upfront (which costs £250+ for most machines). However, it’s important to consider your options, make sure you’re making the best decision for your needs, and ensure that you’re getting the best deal for the machine you’ve chosen. Your first concern is probably, how much do chip and pin machines actually cost? Chip and Pin machine costs change based on the model, functionality, brand, and provider. In most cases, you will be able to either purchase your chip and pin machine outright or rent it from a merchant account provider or third-party provider. If you chose to purchase it yourself, you will have to pay to have it programmed to process transactions for your merchant account provider. This fee will vary depending on your provider which can range from free to upwards of £230. For example, Elavon strongly prefers that you rent or purchase your machine from them, so reprogramming for Elavon is more expensive but First Data offers a PDF you can use to reprogram a chip and pin machine yourself. Purchasing a machine outright will also heavily depend on where you buy it. Countertop or desktop PDQ machines are stationary machines meant to be placed at a single point of sale and typically connect over Ethernet. These machines are not generally feature rich and are therefore very affordable. The two most popular chip and pin machine manufacturers in the UK are Ingenico and Verifone, you can also choose small-business oriented solutions like iZettle. 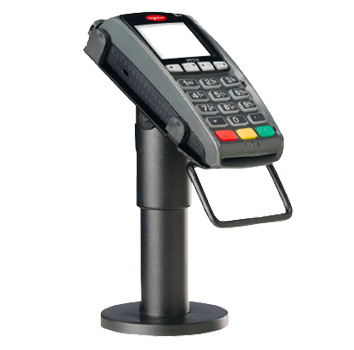 The average upfront cost for a countertop chip and pin machine is about £200. However, if you purchase a terminal yourself, you will also have to cover setup, installation, cords and cables, and other details such as reprogramming the machine, all of which can cost up to £500. Portable chip and pin machines are most commonly used in the hospitality industry, where Bluetooth and WiFi functionality allow you to bring a remote or portable pin pad directly to the customer. This offers numerous advantages, including customer convenience and reduced queuing, but does cost considerably more than a basic machine. In most cases, terminals connect to a base station from up to 250 meters away, giving you plenty of space to use the portable terminal anywhere in your establishment. Each of these machines connects over WiFi and Bluetooth, but you will have to ensure that your local security standards are PCI compliant. Mobile chip and pin machines work over 3G or GPRS (you insert a SIM card with a subscription) to allow you to accept payments from anywhere. These machines are often considerably more expensive unless you purchase a mobile option that connects to your phone, but are necessary for some contractors and anyone who works on location or at events. Small-business oriented solutions like iZettle, PayPal Here, and SumUp Air are typically significantly cheaper than counterparts from brands like Verifone and Ingenico, but have fewer features and a shorter warranty. 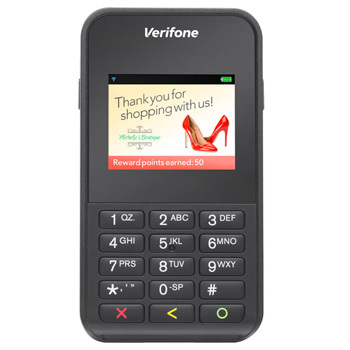 For example, the iZettle has no real warranty while the Verifone e355 incorporates a printer and barcode scanner into one device (an iZettle barcode scanner costs from £299) and offers a 1-year warranty. So, costs are not always as upfront as they might seem. Always pay attention to features and offerings to ensure that you know exactly what you’re getting for the money. While many chip and pin machines are available for purchase, they are more often available for lease from a merchant account provider. This simplifies your process, because you will simply have to sign a contract with one company, which will then provide everything you need to get started including installation and maintenance. Leases are typically 18 months or longer, and include servicing, technical support, and sometimes paper and receipt supply. However, it is crucial that you check what you are getting for the money because providers vary greatly in offering value and in costs. Small-business oriented solutions like iZettle and PayPal typically do not offer rentals for chip and pin machines, because the machine is priced low enough you can afford it upfront. It’s also important to consider that your rental rate will vary depending on how many chip and pin machines you choose to rent, the length of your lease, and the type of machine you rent. 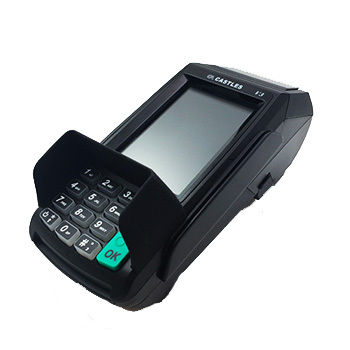 Chances are that if you’re looking for a chip and pin machine, you want to know that you’re getting the best. Unfortunately, there is no one-size-fits-all solution, your ideal chip and pin machine will depend on your business size, type, and age. For example, if you process a great deal of transactions, you are likely much better off investing in a brand like Ingenico or Verifone to ensure that you have a long warranty and world-class technology to prevent downtime. If you’re running a startup and cost is your primary concern, a budget solution like iZettle may be the best option. 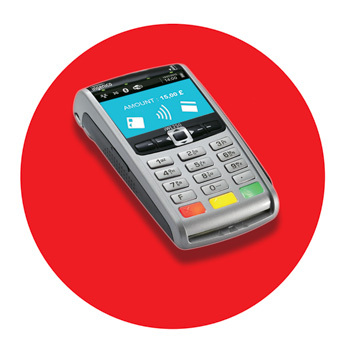 The EFT Vega3000 is one of the most widely-used chip and pin machines in the UK, purely because it’s one of the most affordable options available. The model costs £300-£400, offers mobile, portable, and countertop use, and accepts EMV (chip and pin/chip and signature), contactless, magstripe, and NFC payments. The model also offers a colour screen, oversize backlit buttons, and portable pin pad. 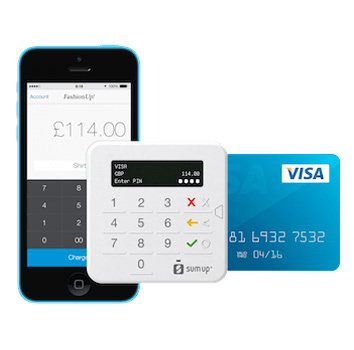 At just £59, it’s hard to beat iZettle’s entry-level price (although you can, with the £39 Square). The chip and pin machine supports mobile, portable, and countertop use in one model, all transaction options, and, with an iZettle subscription, includes a point of sale app, reports, customer phone support, and more. Ingenico’s IWL line is one of the most commonly used in the UK, offering security, quality, and a strong warranty. The line includes mobile and portable solutions, with 2 screen options, built-in printer, and a price point that ranges from £399 – £599. While more expensive than other offerings, Ingenico offers very good quality for the money and typically extends technical support long after machines are retired, so you won’t have to worry about replacing it anytime in the near future. The Ingenico IWL250 is one of the smallest and lightest mobile/portable chip and pin machines on the market but also one of the most expensive. You’ll typically pay upwards of £350 for the model, but that is for quality not just a brand. 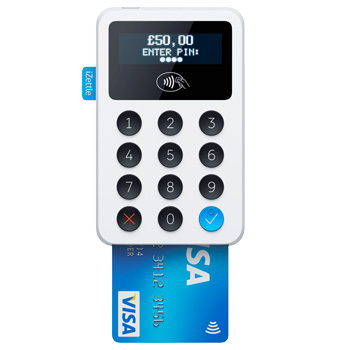 This portable chip and pin machine connects directly to EPOS to prevent double pinning, accepts a full range of payments, and is fully customisable. 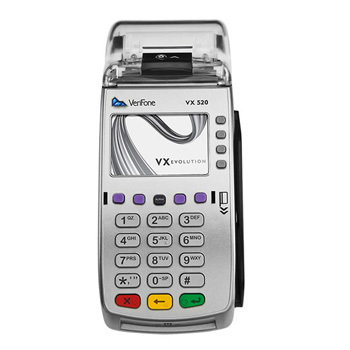 The Verifone Vx520 is a chip and pin machine offering contactless payment and pre-authorisation. The model supports various hospitality functions including dynamic currency conversion and gratuity functions. The entry level cost is typically around £119-£199, but you should expect to pay between £250-£399 with installation, paper, and programming. 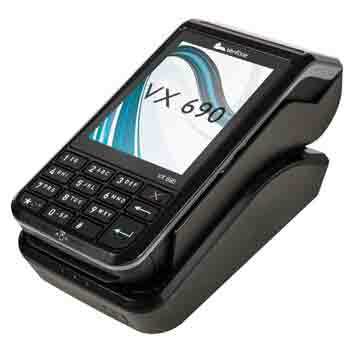 The Verifone e355 is a full-service mobile chip and pin machine with an included barcode scanner and receipt printer. The model offers an 8-12-hour battery life, a 1-year warranty, and typically costs £366-£612. The Hypercom Optimum T4210 stands out for a low entry price of just £150-£160, but you do sacrifice some quality for the reduced price-point. The portable chip and pin machine offers a full-colour screen, ePoS support, and accepts all payment types. 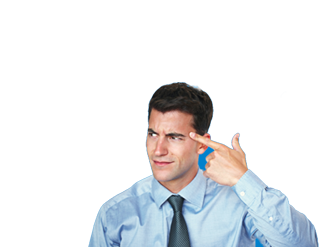 However, there is some lag in payment processing, and you will not get the same customer support as from Verifone or Ingenico. 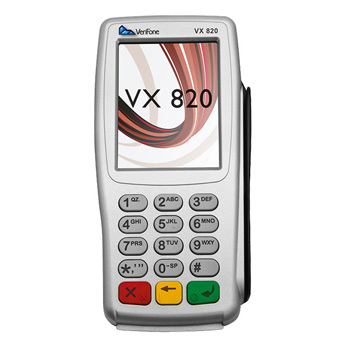 The Verifone Vx820 and Vx820 Duet is a countertop chip and pin machine with an extendable pin pad, enabling you to offer the pin pad to customers over a counter or large space. With costs up to £749, the pair is not cheap, but can be necessary in some industry. There are pros and cons to both buying and leasing a chip and pin machine, ad in most cases, the right choice depends on your business. Unfortunately, you will have to put up the money upfront, you won’t have support in case something goes wrong, and you won’t likely receive the same customer support from the manufacturer. If you’re sourcing receipt paper, you’ll also have to do so on your own, rather than receiving it as part of your lease. Finally, you’ll also have to consider that if something goes wrong (the machine is dropped, technology changes, etc.) you will have to replace it out of pocket. Renting or leasing a chip and pin terminal means that you won’t be paying upfront costs, maintenance and replacement are included, and you’ll always have access to the latest technology and technical support. If something goes wrong or tech is upgraded, your lease will likely cover it and a replacement machine. On the flip side, you’ll also likely be locked into a 12-18-month contract paying a minimum of about £17.45 per month for a machine. This means you’re looking at a minimum cost of £300 for a machine every 18 months, which could buy that machine. You’ll also have to consider that you will likely pay maintenance and replacement fees, you will pay termination fees, and you will have to buy the contract out if you decide to cancel. Both renting and buying chip and pin machines has pros and cons, but most small businesses are better off renting, because it reduces the need for technical support, reduces upfront costs, and reduces the need to hire a separate company to handle machine repair and maintenance. If you’re running a larger business, an outright purchase may be a better idea. If you’re new to accepting payments, you might be wondering what all these terms really mean. Is there a difference between Chip and Pin and PDQ machine? What about Chip and Signature? In most cases, when you see PDQ machine or Chip and Pin machine, the terms are used interchangeably. A PDQ Machine (Process Data Quickly Machine) is any credit card processing machine. A Chip and Pin machine is a specific type of PDQ machine, featuring a pin pad and complying with EMV standards for using a Personal Identification Number (PIN) instead of a signature or other method of verification. While Chip and Signature machines are slowly but surely being replaced, many PDQ machines support both functions. With Chip and Pin, the customer verifies their transaction using a personal identification number. With Chip and Signature, the customer verifies their information by signing their signature, which is then compared with the file on record. Chip and Pin machines are quickly becoming the preferred standard, because they are safer, faster for the customer, and easier to verify. However, if you frequently cater to customers from the United States or South America you may find that many of them primarily use Chip and Signature and will prefer to use it. No matter what the size of your business, it’s important that you work to get the best deal on your chip and pin machine. By taking the time to consider your business needs and to compare providers, you can ensure that you’re getting a model that works best for your business, and your budget.